BriteSide Joy Boost Formula by Solaray is a dietary supplement that seeks to help you enjoy life by supporting healthy moods. Ships tomorrow if you order in the next 22 hours 17 minutes. When you're feeling down, it can get pretty difficult to start feeling positive again. Solaray offers a product that delivers a blend of ingredients designed to help you love your life again. 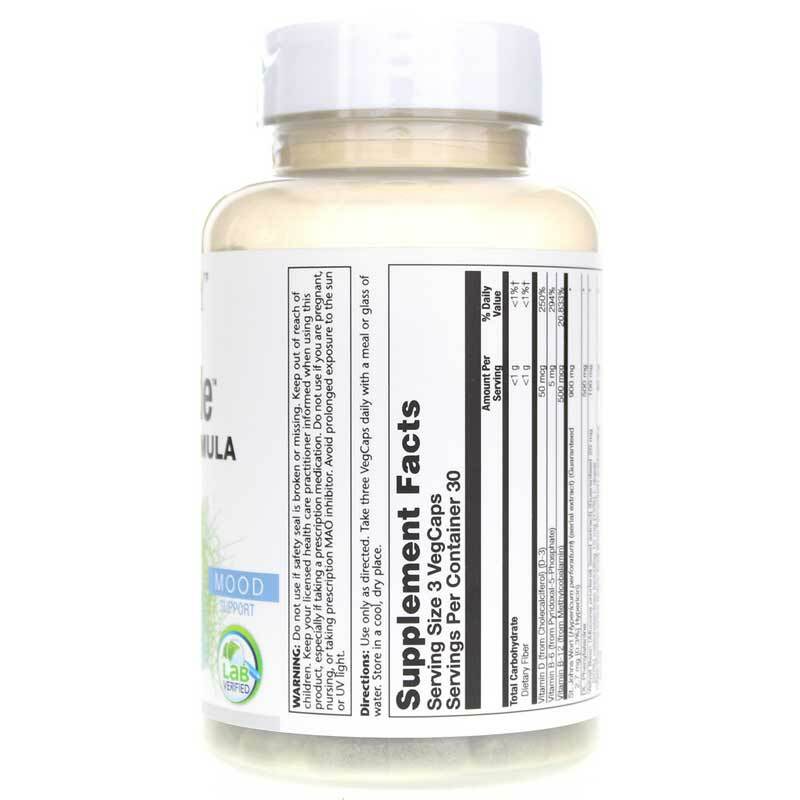 BriteSide Joy Boost Formula is a daily dietary supplement that helps boost your overall mood and outlook with natural ingredients that are good for you. Days can be difficult when you're feeling down about things. Don't let those feelings take over. BriteSide Joy Boost Formula may be able to make a difference for you. 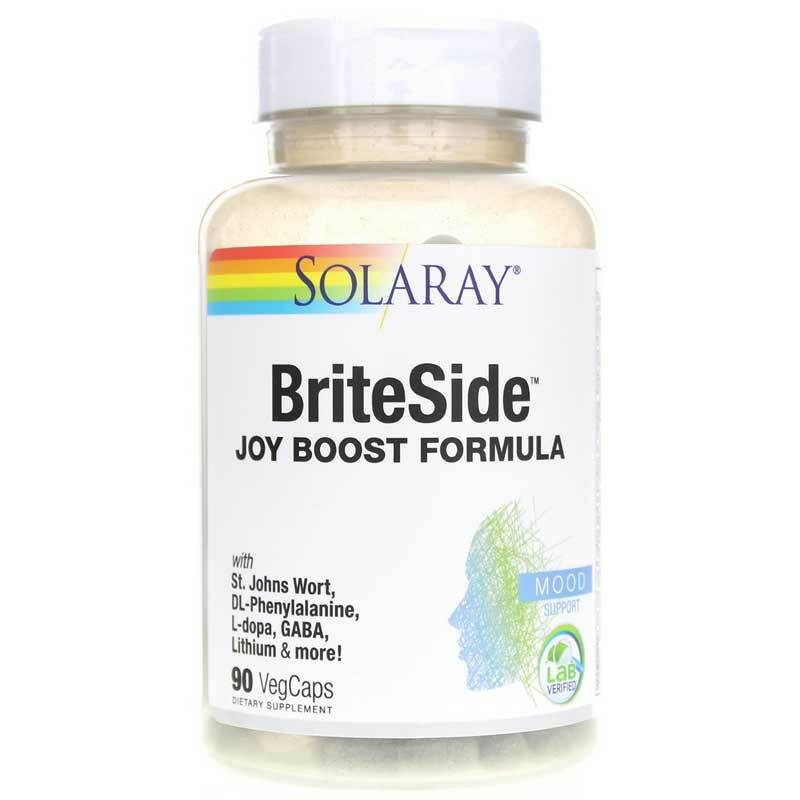 If you're looking for a dietary supplement that may support healthy mood with all-natural ingredients, consider Solaray's BriteSide Joy Boost Formula. 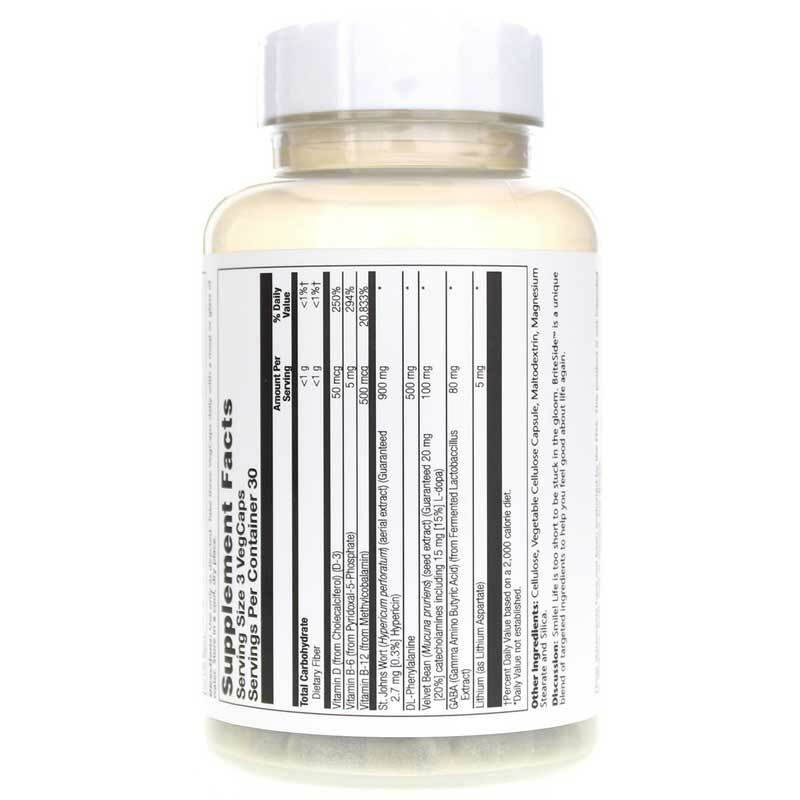 Other Ingredients: cellulose, vegetable cellulose capsule, maltodextrin, magnesium stearate, silica. I am glad I gave these a try. I was suffering so bad with my mood up and down. I have been taking these for over 3 weeks and sleep so much better and feel great throughout the day.